This is a manual focus SLR with motorized film advance, and an automatic programmed exposure system controlled by TTL metering. Its shutter speeds are 1 - 1/2000 sec. The camera was introduced in 1985. 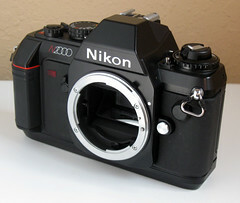 It is the manual focus version of the N2020. 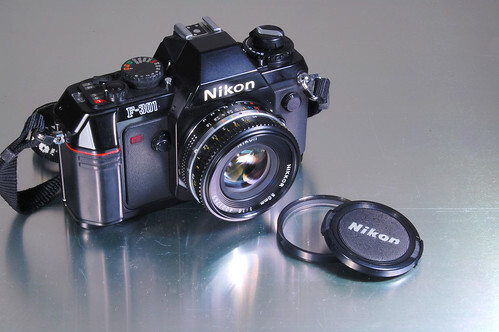 This camera is probably the smallest Nikon 35mm film camera with a motorized film transport. The camera is powered by four AAA or if the MB-3 battery holder installed four AA batteries.